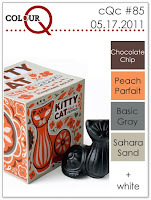 I had to search high and low for Peach Parfait and Sahara Sand to play along with this weeks colors over at ColourQ, luckily I had a few scraps of both. I love this weeks colors, perfect for a masculine card. 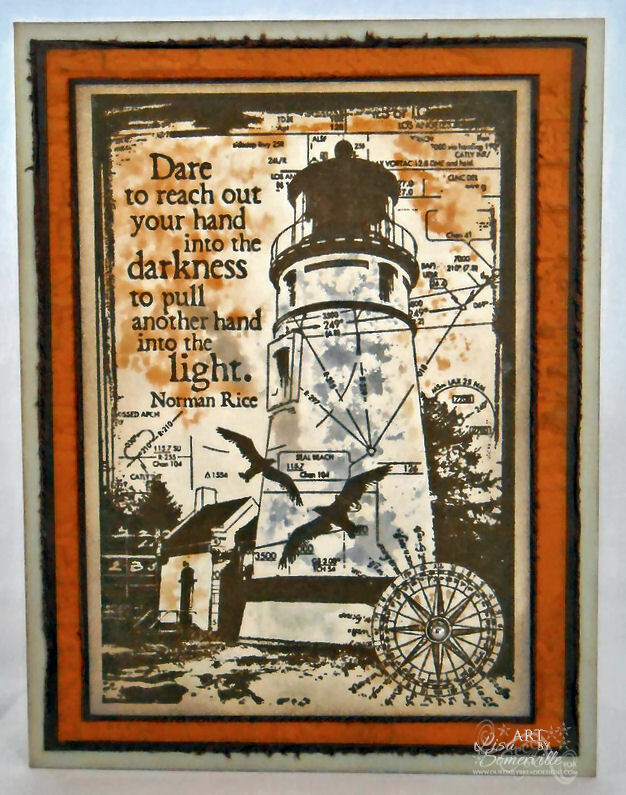 The beautiful image and sentiment are from Our Daily Bread Designs Keep My Lamp Burning set. The image/sentiment are stamped in Ranger Coffee Archival on Vanilla card stock. To add color I used the Smackin' Acetate Technique with Sand/Peach Parfait/Grey Markers. The edges are sponged in Ranger Pumice Stone Distress Ink. The Peach Parfait panel is embossed with the Brick Texture Fades folder, then sponged with Pumice Stone. 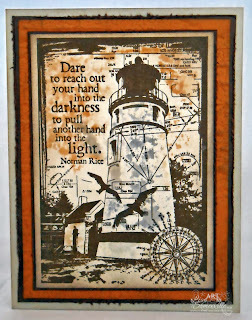 Both Chocolate panels are distressed with the Distress Tool. Love how you colored the image using the colors. Beautiful lighthouse and card! Great card Lisa, love these colors together! What a beautiful card - love the coloring you did with the lighthouse. It looks so realistic. Bee-utiful lighthouse card with great wording. So lovely, Lisa! thanks for playing with us at the ColourQ this week. I haven't seen this lighthouse used for a while. I'm so glad you brought it out again. It's a wonderful card. Wow, Lisa, this is a stunning image and card! You've added so much depth with the sponging and distressing. Just fabulous! Thanks for joining us at the ColourQ!